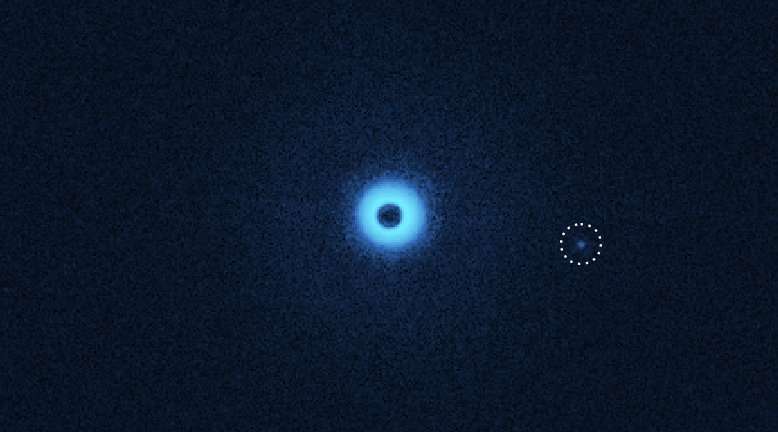 An international team of astronomers headed by Dutch researchers from Leiden University has coincidently found a small companion around the young double star CS Cha. The astronomers examined the dust disc of the binary, while they stumbled upon the companion. The researchers suspect that it is a planet in his toddler years that is still growing. The astronomers used the SPHERE instrument on the European Very Large Telescope in Chile. They will soon publish their findings in an article that is accepted by the journal Astronomy & Astrophysics. The binary star CS Cha and his special companion are located some six hundred light years away from Earth in a star formation area in the southern constellation Chameleon. The double star is just two to three million years young. The researchers wanted to study the star to search for a dust disc and for planets in the making. During their research on the binary star, the astronomers saw a small dot on the edge of their images. The researchers dived into the telescope archives and discovered the dot, but much fainter, also on 19 year old photographs taken with the Hubble Space Telescope and on 11 year old photographs of the Very Large Telescope. Thanks to the old photographs, the astronomers were able to show that the companion moves with the binary and that they belong together. What the companion looks like and how it was formed is unclear. The researchers tried to fit various models on the observations, but they do not give a hundred percent certainty. The companion may be a small brown dwarf star, but it can also be a big super-Jupiter. Lead author Christian Ginski (Leiden Observatory, Leiden University) explains: "The most exciting part is that the light of the companion is highly polarized. Such a preference in the direction of polarization usually occurs when light is scattered along the way. We suspect that the companion is surrounded by his own dust disc. The tricky part is that the disc blocks a large part of the light and that is why we can hardly determine the mass of the companion. So it could be a brown dwarf but also a super-Jupiter in his toddler years. The classical planet-forming-models can't help us." In the future, the researchers want to examine the star and the companion in more detail. They want to use the international ALMA telescope on the Chajnantor plateau in the North Chilean Andes. SPHERE is the abbreviation of Spectro-Polarimetric High-contrast Exoplanet REsearch instrument. It is a powerful planet hunter that is attached to the European Very Large Telescope at Cerro Paranal in northern Chile. The instrument has partly been developed in the Netherlands. 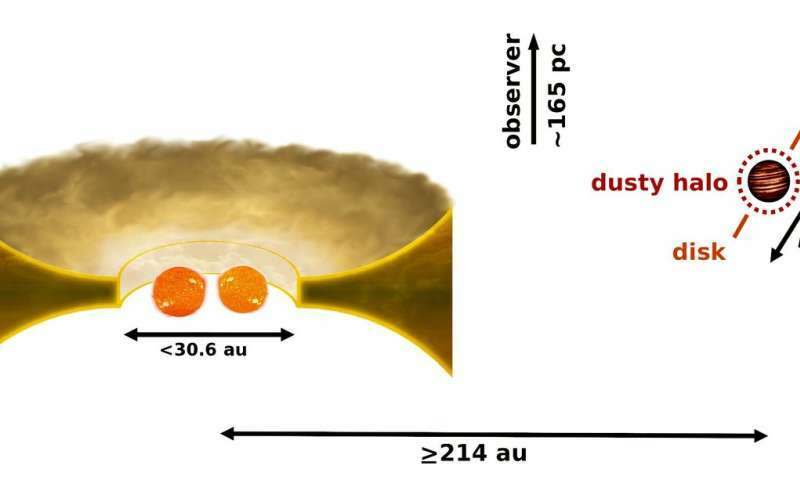 SPHERE can make direct images of exoplanets and dust discs around stars. The instrument bypasses the bright star and looks specifically at polarized light that is reflected by the atmosphere of an exoplanet or the dust disc around a star.